Branding a popular treatment to make it unique and make it your own. Pinpoint has worked with Dr. Bucky's practice for over a decade. 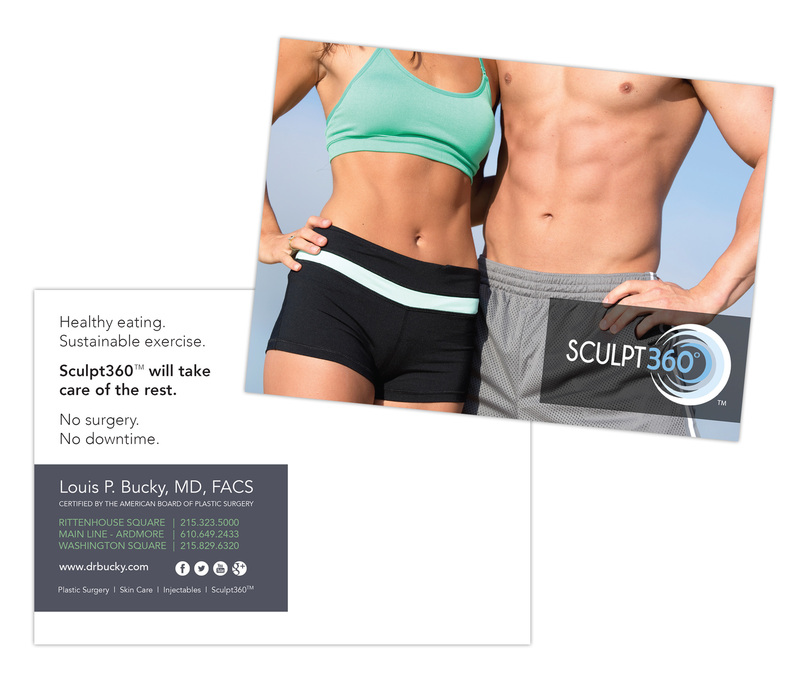 Most recently, we've worked on a campaign to help the practice brand the popular technology--CoolSculpting--into a propriatary brand, Sculpt360. 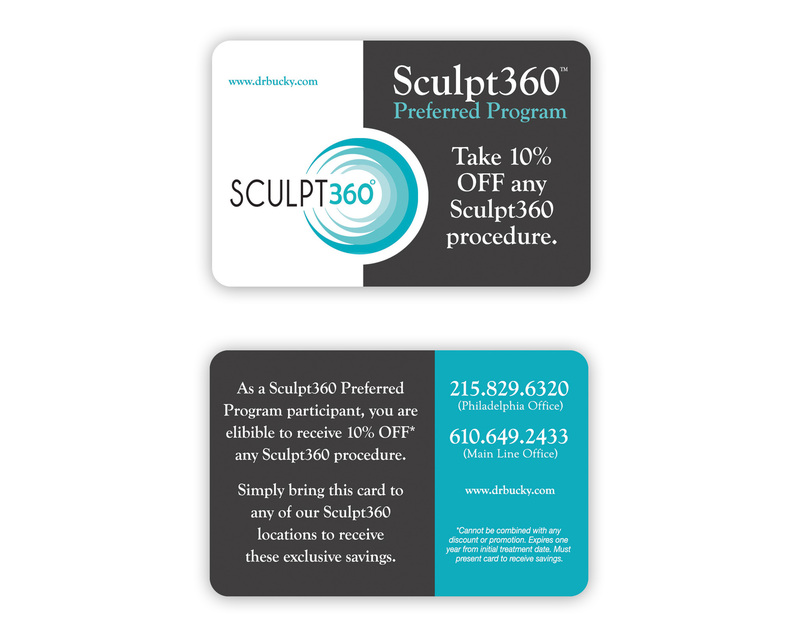 Sculpt360 offers patients the basics of CoolSculpting science with other services and add ons to reduce discomfort and social downtime and amplify overall results. This makes Dr. Bucky's CoolSculpting service DIFFERENT than anyone elses and sets his practice apart as a unqiue leader in advancing technology for the betterment of the patient. 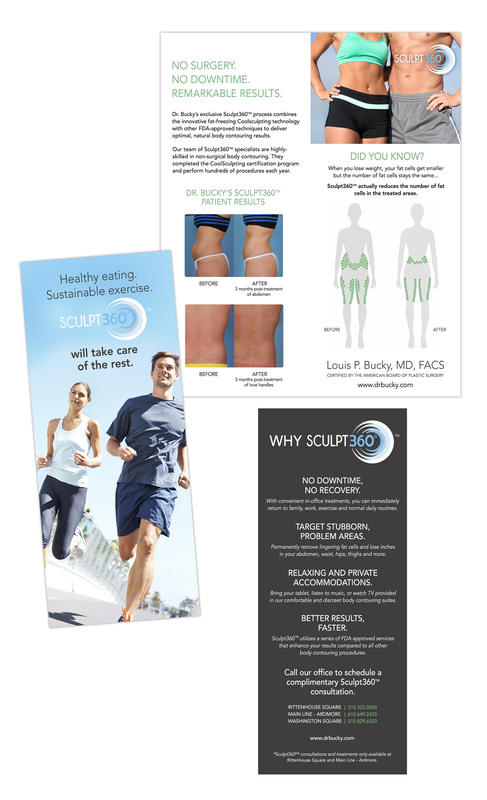 The following campaign includes print advertising, collateral, direct mail, an information eblast complete with video, and partnering promotions with local gyms.